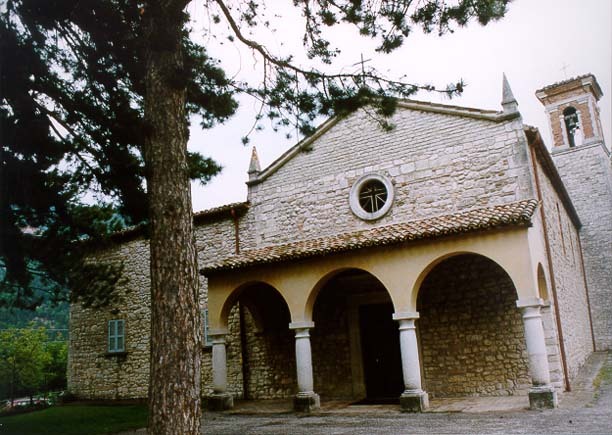 The ancient sanctuary is on the slopes of Monte Nerone and the existing plant, attributable to the XV-XVI century, preserves examples of Romanesque structure. In the fifteenth century the church was entrusted to the monks of the Order of Servants of Mary, who settled there. The Brancaleoni, lords of Piobbico, commission the sacred decor to great artists: recently recovered are the frescoes attributed to Fabrizio Fabrizi, artist near Giovanni Santi; the altarpiece depicting the Assumption, is attributed to Raffaellin del Colle, as the doors with effigies of saints. Today the Sanctuary continues to be a destination for pilgrims, welcoming the Procession of the Fortresses, where girls dressed as peasant carry the “fortress”, a cane stick at the top of which is placed a clump of hemp or wool decorated with colorful ribbons , as a gift to the Virgin.